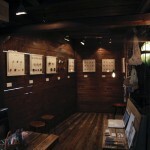 http://www.hidari-zingaro.jp on a quest to find true beauty. The gallery houses a collection of his selections from around the world including ceramics, stationary, furniture and art works. 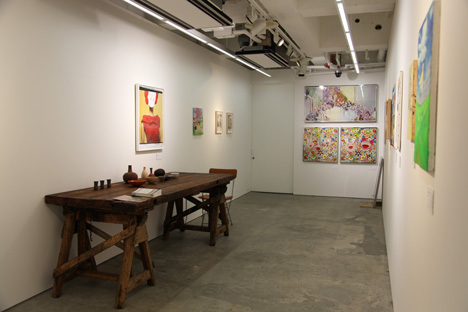 Along with them are displayed the works of young artists which illustrate the beauty of everyday Japanese life. Hidari Zingaro gets its name from the controversial sculptor Hidari Jingoro, who lived during the early Edo era. Jingoro is the subject of several legends and even his name tells and interesting story. The surname “Hidari” means left in Japanese, symbolizing a nonconformist or punk attitude, someone who goes against social rules. His first name Jingoro is said to be borrowed from an imported word “Zingaro” meaning gypsy; a perfect match for an artist who advocated freedom. For his gallery, Murakami chose new Japanese characters to make up the name Hidari Zingaro. By combining the kanji for “night butterfly” and “wolf”, the characters of Murakami’s gallery represent an “absolute freedom for the heart to flourish at night”.